Situated just off the Gold Coast of County Road 250 and nestled into the hillside of prestigious Elkhorn Mountain Estates, this property does nothing but bring the Colorado dream to life in every season. Fall in love with the quiet, secluded setting with only the sound of the creek's tranquil song soothing your soul. This masterpiece began its story in 1999 with the Main House being the first structure designed and built with careful attention to every detail. A breathtaking addition was added in 2010 and completes a home that embraces and provides an escape every time you step into it. Once you meander through the property, you will appreciate the character of a gentle rolling landscape and a design which embraces the cascading creek and brings the sound of live water into every room. 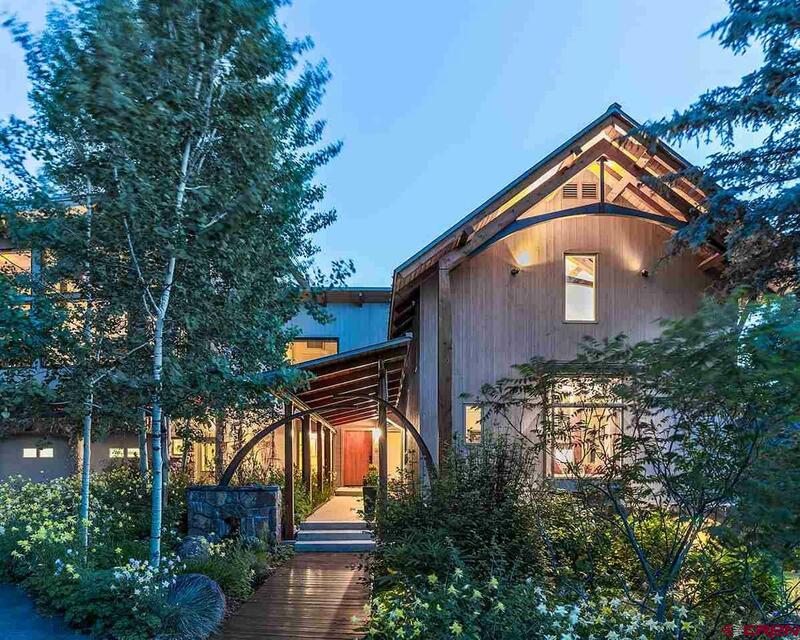 Your first step into this home is greeted by the graceful curvature of steel, walls and wood beams accentuating the timber framing and captivating you with the intricate detail, beckoning discovery of the many treasures that await you throughout this home. Tuck yourself into the bay window quietly awaiting you in the Dining Room and let the sun caress your face.nap, read or daydream about your next adventure in this tranquil setting. Race your canine across the Bridge where your office awaits you, suspended over the creek, creating the ultimate working environment. Complete your journey across the Bridge to the secluded, private Master Suite with the creek running outside the window, fireplace at the foot of your bed and the loft above for meditation, exercise or a little of both. The Master Bath suite includes beautiful stonework, separate shower, Jacuzzi tub, a dream master closet and a surprise jewel - an additional exterior shower. 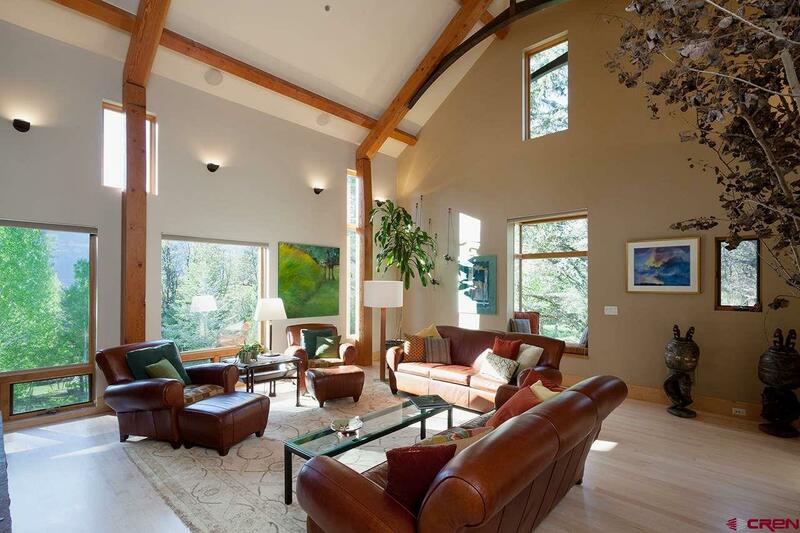 Transform your day in the Family Room "Tree House" with three, ceiling to floor walls of glass, inviting the nature inside, while you work, study or enjoy the wildlife ambling by. Entertaining is brought to a new level in this environment with exterior access to the balcony, stairs leading to the exterior fireplaces and all the while, you cherishing the sounds of laughter from friends and family. When the guests leave, wind down your evenings and spend quiet nights on the deck. Let the last glow of the fire warm your skin, the soothing sounds of the creek lull you to sleep and the cascading canopy of stars blankets you from the heavens above. 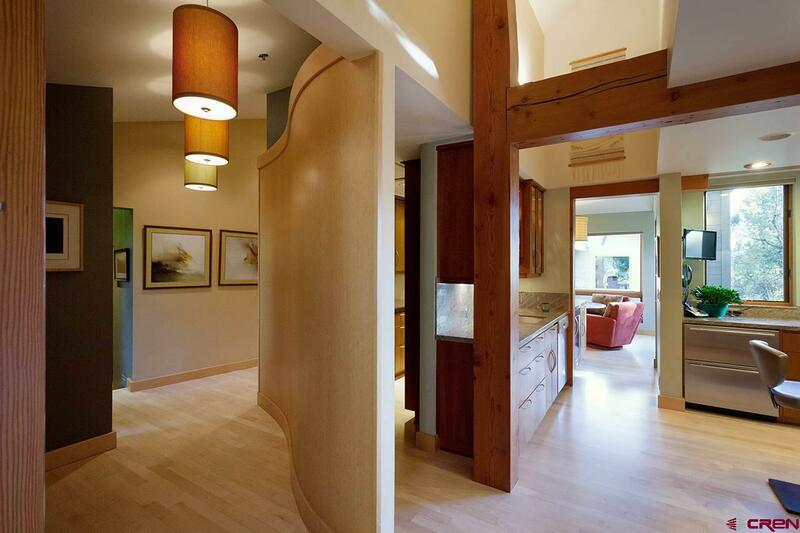 The 2200 square foot guest house is spacious and inviting to all that come to share the Colorado experience with you. An open flowing floor plan greets you the moment you step in from the vestibule. 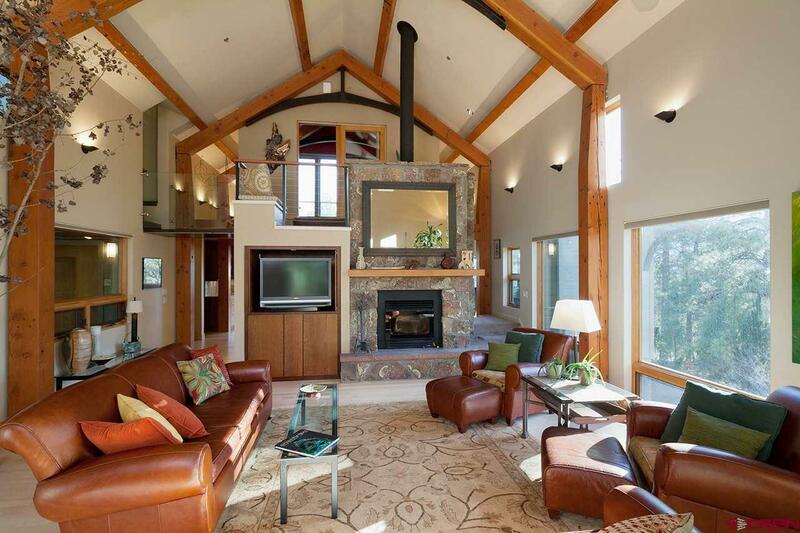 The Living Room ceiling soars, displaying beautiful built-ins, surrounding a fireplace that beckons for your attention. It is also resting on top of a 10 car showplace garage that has room for any car collection or all the Colorado gear and toys you could imagine.